You must be a member of the Milan Changemakers Group to attend this activity. Would you like to join this group? Protected content (a bookstore with a focus on the LGBT community and literature) in collaboration with Amnesty International sets up a public meeting with a Belarusian LGBT rights activist Andrei Zavalei. 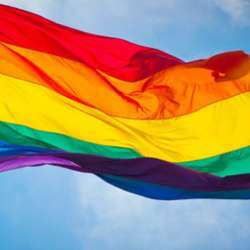 While homosexuality is not banned in Belarus as it was in the Soviet era, human rights groups have said the government promotes animosity against sexual minorities. Alexander Lukashenko, who has led the country for nearly a quarter-century, declared in Protected content it was “better to be a dictator than gay”. In move that echoed the law that Vladimir Putin signed against gay propaganda, Belarus passed legislation in Protected content information that “discredits the institution of the family and marriage”. I will be there, if someone else is interested I would be happy to meet you inside the bookstore.